There's an oft-mocked moment in Garden State where Natalie Portman's Sam offers Zach Braff's Andrew her headphones and tells him to listen to the Shin's "New Slang" because she promises it will change his life. Garden State has a host of problems as a film -- it mistakes its sincerity and depth of feeling for insight -- but that scene isn't one of them. There are albums and songs that change our lives, and no other album ever changed my life as much as Arcade Fire's Neon Bible. We tend to reserve that "changed my life" appellation to our all-time favorite records. I'll have to personally make the effort to not write about Kid A for this section one day cause I'll only come off like a raving loon as I discuss how great that record is and how many great memories I have tied to my several score listens to the album. But no album -- not Kid A, not Revolver, not Ágætis byrjun, not My Beautiful Dark Twisted Fantasy -- changed my life to the extent that Neon Bible did. There's a legitimate possibility that I think it's the least...accomplished Arcade Fire record -- it's a toss up between it and The Suburbs for my least favorite LP from the band -- but I wouldn't be here today writing this essay if I hadn't discovered this album in the late winter of my senior year of high school. Prior to Neon Bible's release, I listened almost exclusively to classic rock. That's not an exaggeration. After my parents divorced in the seventh grade, I went to live with my dad, and when we went on car trips, we played my dad's classic rock CD collection. I can't remember a single time where we listened to top 40 radio in the car after the divorce. Between my dad's CD collection (the Eagles, Zeppelin, the Beatles, the Stones, Simon & Garfunkel, Dylan, etc.) and my copy of the Grand Theft Auto: Vice City soundtrack box set, I only heard songs that came out after the mid-1980s at school functions and on TV shows. I was obnoxious in my pride regarding my musical Luddism. I openly mocked current acts with close-minded ignorance. But, in March of my senior year of high school, I was reading Entertainment Weekly -- cause my dad got roped into a subscription at an FYE and promptly forgot to cancel it so we had the magazine for years afterwards -- and while I generally paid no attention to the music portion of the magazine, a review caught my eye. It was partially the score ( an "A-"), but I was intrigued by this evocative new band name -- Arcade Fire: I desperately wanted to know what that meant -- and the even more evocative album title. And so I read the review and immediately knew I needed to drive to the mall and buy the album -- I had an iPod at the time but we had dial-up internet at my dad's cause I'm from BFE West Virginia and it took around 40 minutes to download singles; the thought of downloading an entire album was some Lovecraftian nightmare. I bought the album partially on the strength of a single U2 comparison in EW's article, but the thought of a band playing with horns and strings spoke to me, and I went to the mall and bought the album, and I've been playing it off and on ever since. My dad heard enough and I doubt he's ever properly listened to an Arcade Fire song since -- though he has a fondness for Milo Greene and Of Monsters & Men which are all in Arcade Fire's wheelhouse -- and even though I didn't fall in love with the album immediately, I couldn't shake the fact that I was fascinated by it. 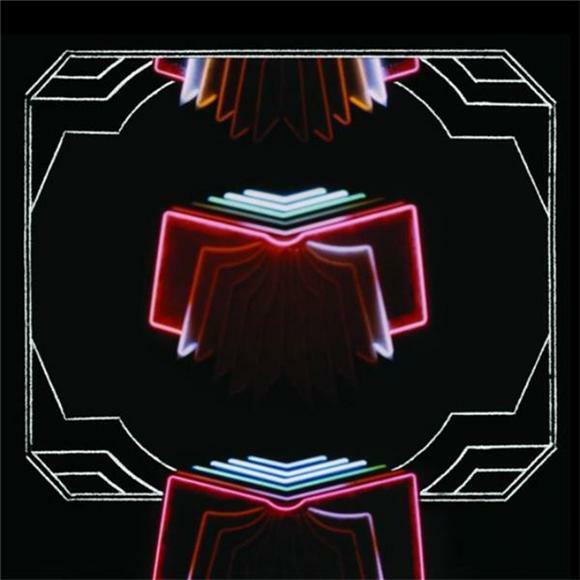 Neon Bible was one of the first...textured albums that I'd ever heard. Win Butler's arrangements (with help from Owen Pallett's production) created sonic spaces that I'd never explored in my life. And for the next three months or so, I listened to the album on the way to school. I studied it like I'd study a book or a great film. I tried to figure out what was happening and what I was listening to, and slowly but surely, I fell in love. "No Cars Go" was my first love on the album. It's the record's big single so it's to be expected. The chorus is massive, and Win Butler and Regine Chassagne whip themselves and the rest of the band into an almost religious fervor as that song rises and falls in its communal zealousness. But over the weeks after that first listen, I discovered that "My Body Is a Cage" and "(Antichrist Television Blues)" are the secret best tracks on the record -- and secretly some of the best songs Arcade Fire ever wrote period. I eventually discovered Funeral a year later which is clearly still the band's best album though I'll make the argument that Reflektor comes damn close to being even better. I felt disappointed by the solemnity of much of The Suburbs although it's grown on me immensely since it first dropped in 2010. And I've learned that most Arcade Fire fans don't like Neon Bible which astonishes me. It's their Springsteen/U2 record, and if that doesn't sound pleasing to you...well, to each his own, I guess. But even more than introducing me to what has become my favorite modern band, Neon Bible was my gateway drug to modern music period. Neon Bible led to Oh, Inverted World which led to Merriweather Post Pavilion which led to Kid A -- yeah, I know minus MPP that I discovered those other two nearly a decade late -- which led to me discovering modern indie music blogs which led to me discovering music when it was actually being released. Finding music blogs was one of many things that led me to wanting to try my hand at writing professionally which led to me getting hired as an intern at Baeble for the Spring of 2012 which led to paid professional writing work afterward which led to me becoming the site's new Managing Editor last month. So, I don't know if there are any singles that ever have changed my life. I love "New Slang" nearly as much as Zach Braff -- and I like Oh, Inverted World significantly more than Neon Bible. But I owe almost my entire livelihood to Arcade Fire and their sophomore record. Neon Bible changed my life.